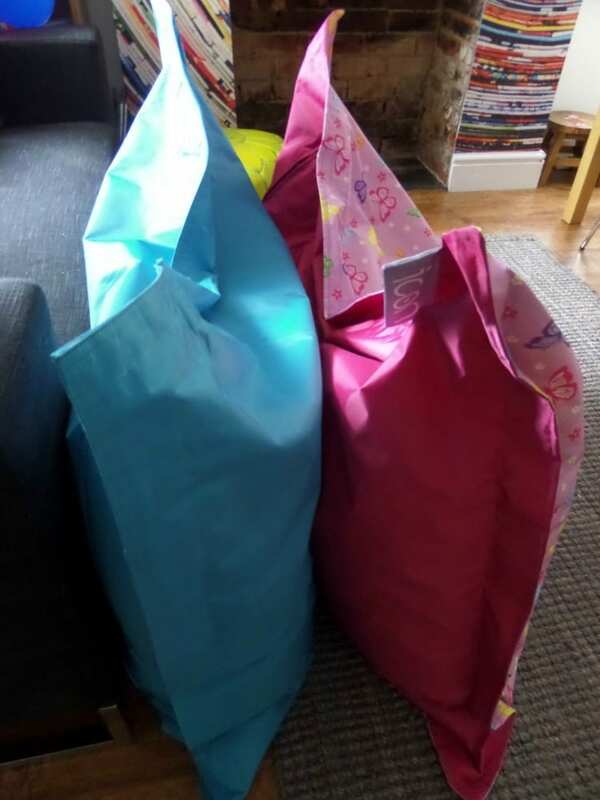 We were recently sent some fabulous kids bean bags from BeanBag Bazaar to try out and show you. The girls were thrilled and spent some time on the website choosing their favourite design, having great fun looking through the different patterns on offer. BeanBag Bazaar is the leading specialist in beanbag design, retail and manufacture in the UK. The beanbags are big and made of tough, waterproof fabric and we chose a couple of beanbags from the kids bean bag range. Firstly a design from the ICON kid designer beanbag section, which are created with child-friendly fabric and designs. The material is waterproof and stain resistant making it easy to remove sticky finger marks and traces of left over food! All great features in a family home. Miss R went for the ICON Butterflies design and immediately bustled it away to her room for role play fun. This particular beanbag costs £64.99 and is so comfy. I’ve had a lounge on it myself. 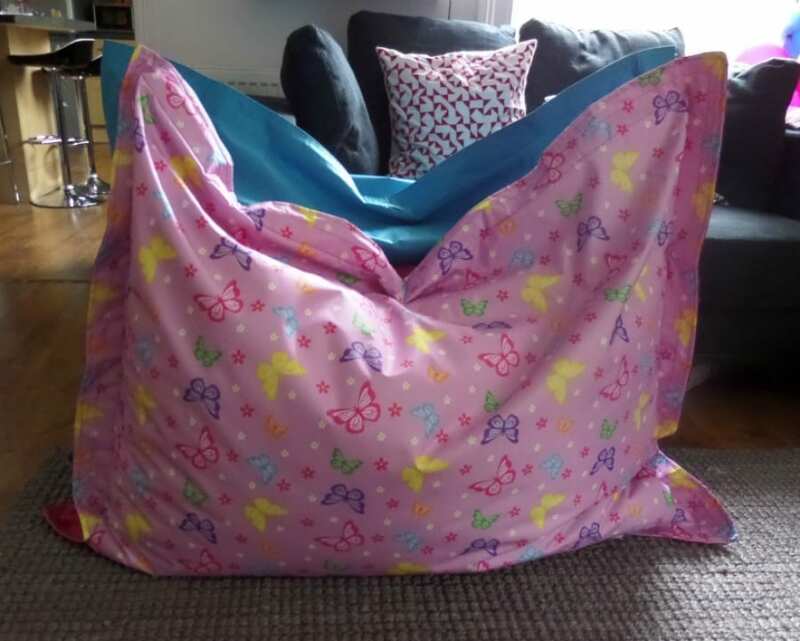 Miss E chose something a little more sombre and went for a kids aqua beanbag, again in a waterproof fabric that she can use both indoors and outdoors. This one measures 125x100cm, and is ideal for children aged up to the age of 12! Made of 100% polyester it is available in 9 different colours so you’re bound to find one that suits your decor. It normally costs £89.99 but is currently on offer at £42.99. They have been a huge hit in our home, and although large they are very light and have been hauled up and down the stairs many times being moved from room to room. Another great feature of these beanbags is that they can be used in 4 different seating positions. It seems that sitting astride it, like a horse is a favourite of ours, but you can lean it against a wall or sofa and sit in the more traditional position, as well as lying on it and sitting on the long edge. So versatile, so practical and such fun! Leave a separate comment for each entry that you do, for the purposes of the Random Number Generator. The winner will be chosen by random and contacted by email. Full Terms and Conditions are below. The prize is a beanbag of your choice up to the value of £75 from at www.beanbagbazaar.co.uk. There is no cash alternative. Entrants can also follow Love Chic Living on Twitter, follow BeanBagBazaar on Twitter and follow Love Chic Living on Facebook for extra entries. Individual comments must be left for all additional entries. Tweeted @billyboychrisd1 more words more words! Have liked & followed & tweeted. Thankyou. Cute beanbag…my son would love watching movies on that! Hello! Fab competition – thank you! I have entered via Twitter (https://twitter.com/Gerbera4U/status/434963469968756736) and I have liked your facebook page. Thank you! Bean bags are great. Following and tweeted. Have followed and tweeted @lovefrompoppy1. I am following @BeanBagBazaar on Twitter. I am following @lovechicliving on Facebook. Thanks so much for the chance to win! Great competition! Fingers crossed! I’ve liked Love Chic Living on Facebook! i have tweeted the tweet!! 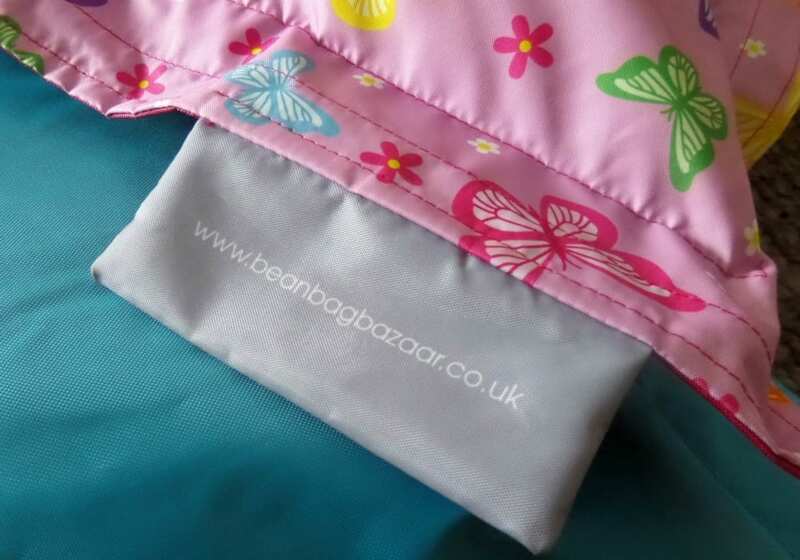 Tweeted – I would love to win £75 to spend with @BeanBagBazaar via @lovechicliving http://wp.me/p2djcQ-22R!